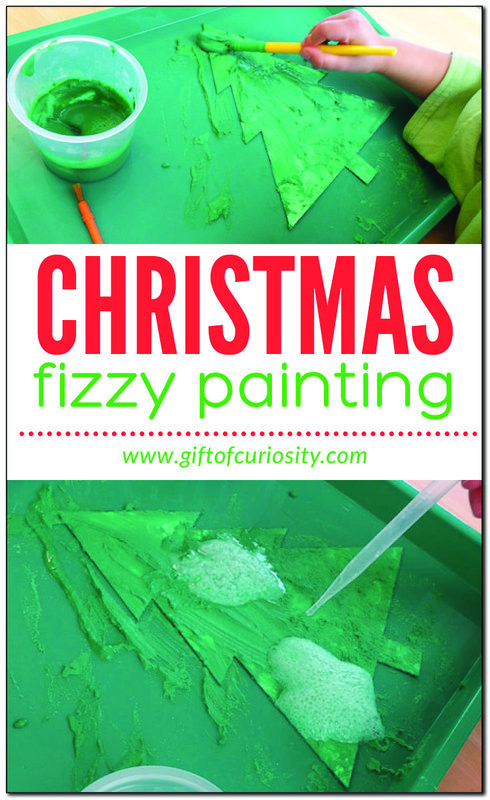 I’m excited to share our Christmas fizzy painting activity as the next post in my Christmas activities for kids series. What is fizzy painting, you might ask? 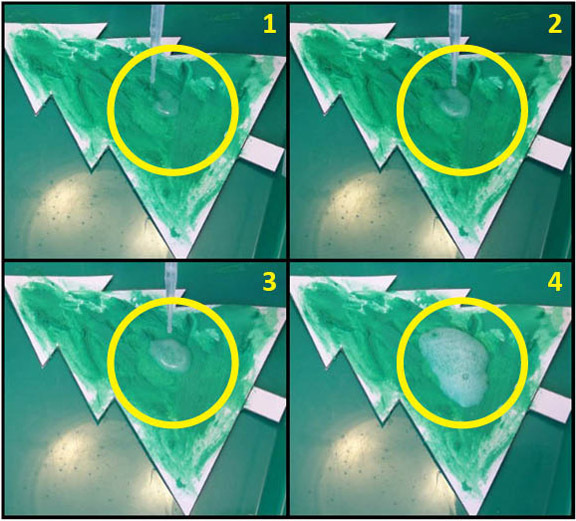 Fizzy painting is a process-oriented (rather than product-oriented) art activity that combines art and science for one really fun experience. It requires the use of fizzy paint – which you can easily make at home – and vinegar. 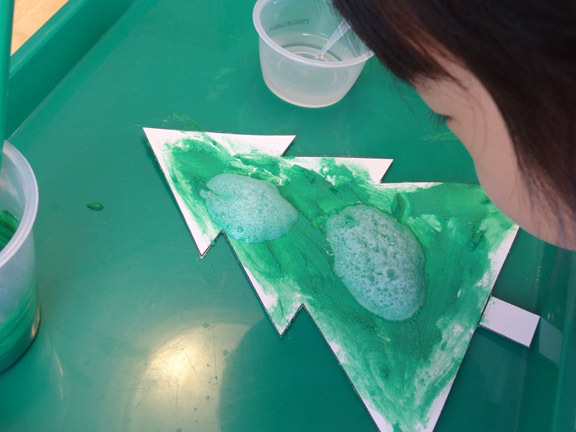 We previously did a Valentine’s fizzy painting activity and a St. Patrick’s fizzy painting activity. But those were so long ago that my kids did not remember them. The upshot is that this Christmas fizzy painting was totally fresh and fun for them. To make fizzy paint, all you need to do is mix 3 TBS baking soda with 1 TBS paint. Easy peasy. Decide what you will paint. I printed out a Christmas tree from my Christmas Tree Outlines printable (get your own by clicking the link). 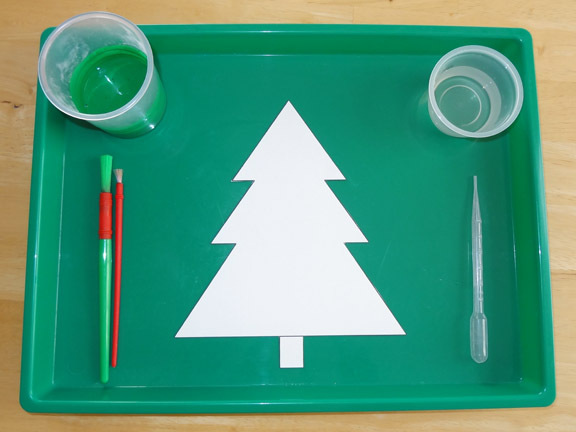 I placed the cutout Christmas tree on a tray along with the fizzy paint, paint brushes, cup with vinegar, and a plastic pipette . The kids quickly got to work painting their Christmas trees. I encouraged the kids to fill their Christmas trees with paint. Then I gave them the vinegar and plastic pipette . 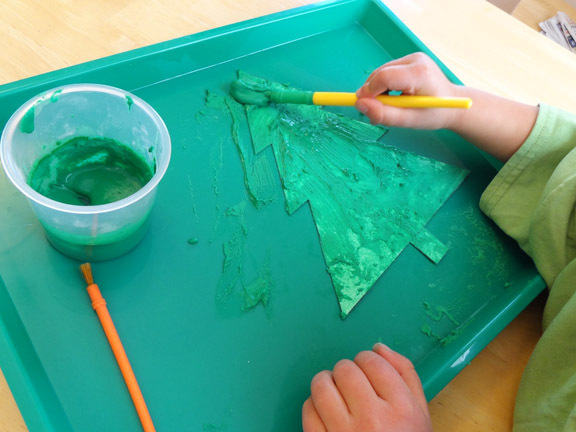 I encouraged them to “decorate” their trees by dripping the vinegar onto their papers. As soon as the vinegar hit the paint, it began to bubble and fizz like magic! The kids watched in awe as the chemical reaction took place. And then they eagerly continued to add vinegar. My kids sometimes like to take things to excess :-), so their trees ended up quite wet by the time they were done! Fortunately our trays made the clean up quite easy. This is such a great idea! 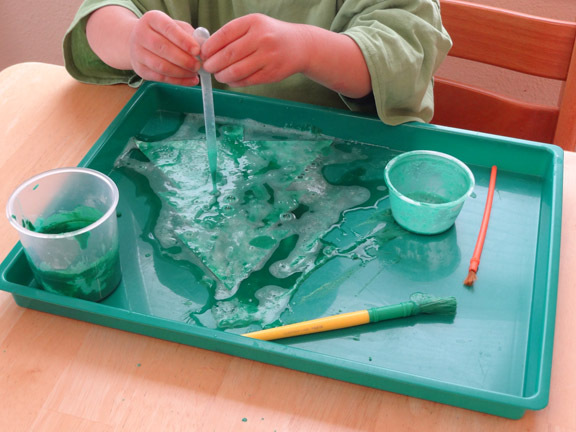 Would be an awesome activity in our sensory table this week! 🙂 Thanks for sharing! This is so awesome! Thanks for sharing it on my facebook page! Simply delightful!!! 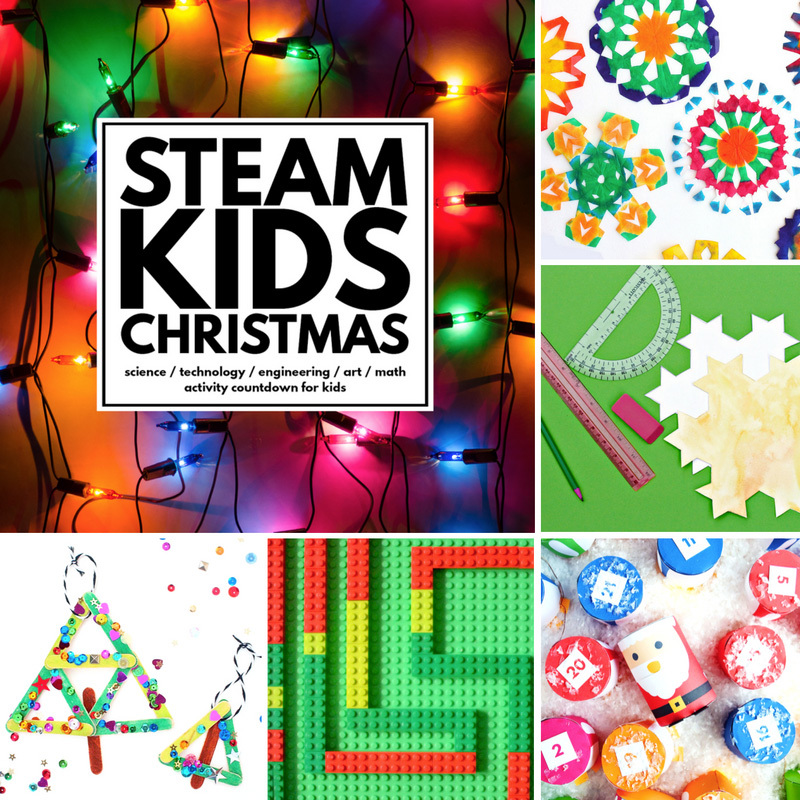 I am so glad you stopped by our FB Playful Preschool Share Day and have selected this post to be linked up to our Reindeer Unit Preschool Post today! I hope that it inspires other parents to make one! I think we may try a snow scene! I LOVE this! I never would have thought to add baking soda to paint. We will definitely give this activity a try, maybe with a Valentine’s theme like you mentioned in your post. Thanks for the great idea!